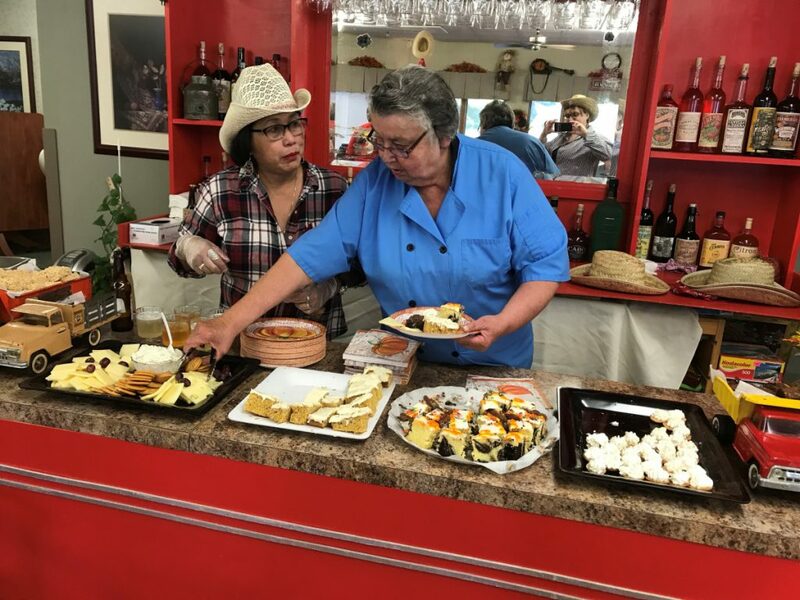 SKOWHEGAN — Cedar Ridge Center staff and residents recently celebrated a fall day at the 74-bed rehabilitation and living center. 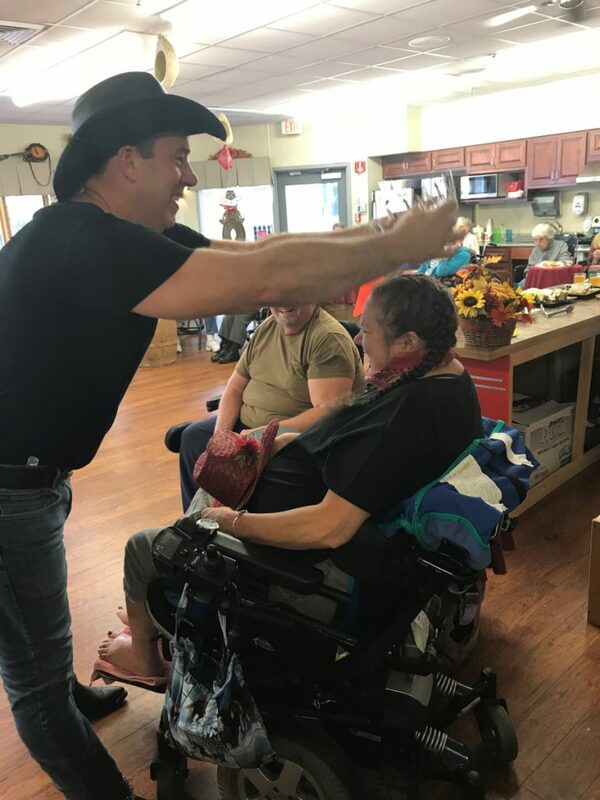 Residents and their families were served sarsaparilla, apple cider and fall treats from their makeshift saloon while being entertained by Mark Gentle, a country western music singer from Farmington. Traditionally the facility crowns a Harvest King and Queen. Royals from last year’s event enter the room with their crowns and wait for the announcement of the next King and Queen. When Gwen Nyholt’s name was called as this year’s queen her first words were, “Oh my gosh! My mom is not going to believe this!” according to a news release from the center. Following the queens nomination resident, and friend to Nyholt, Daniel Campbell was crowned King. 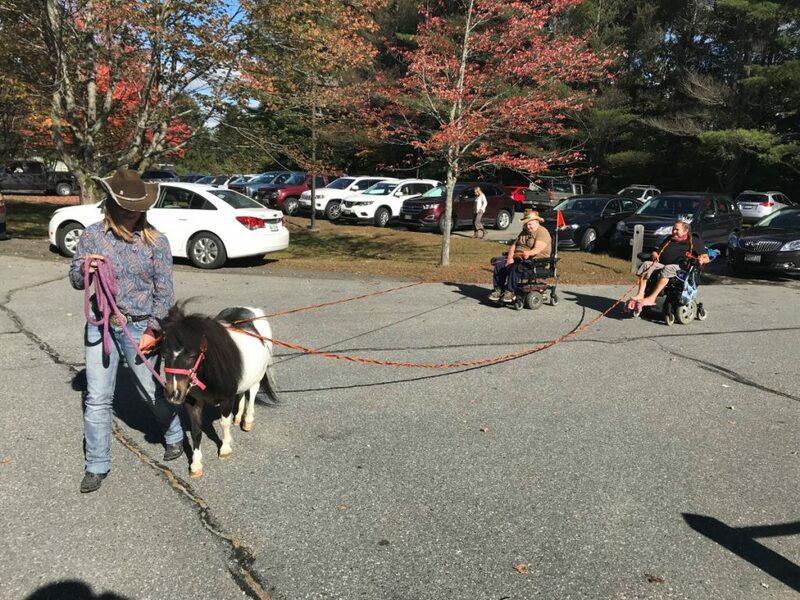 Campbell and Nyholt were greeted by Oreo, a miniature horse adorned with fall colored reins, both of which were handed to them as they were led around the facility grounds by Rebecca Stone, Kaitlyn Stone and Jennifer Giguere, all of Canaan.